A good music player is very hard to come by these days, most of the music players which are available on the internet are either comes with a heavy cost or don’t play the music files efficiently. 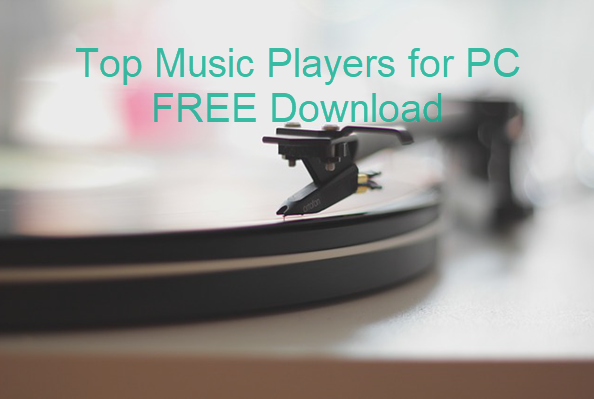 But rest assured as we provide you the list of 6 best music players for Windows which would play any kind of music file, you would like to play and above all that they are totally free and won’t cost you an arm and a leg to buy them. Dopamine is one of the best music players available on the internet. It supports almost all kinds of music files including mp3, WAV, OGG, WMA, flac, ape, and acc/m4a. Aside from supporting almost all kinds of music files, Dopamine is a very cool music player to use, it provides you with an easy and magnificent interface and you can even choose the design of the music player however you want to view it. It includes very exciting features like meta tagging, scrolling and it even shows you the lyrics of the song you are playing. With its speedy installation process, Dopamine is one of the best music players for Windows. MusicBee has been known as one of the best music players for more than 10 years. The interface of MusicBee is very delicate and beautiful with the splendid colors combination it becomes an ideal music player for Windows. Music bee doesn’t only appear to be beautiful, but also can play almost any kinds of music files including the ape, TAK, FLAC, OGG, WAV, m4a, acc, wma, and mp4 etc. It also includes very cool features like importing music files automatically from the hard drive, removable flash drive, cloud drive, etc. Music bee is able to access huge online music library, so it can alert you available updates of your songs, and even batch rename audio files from tags. 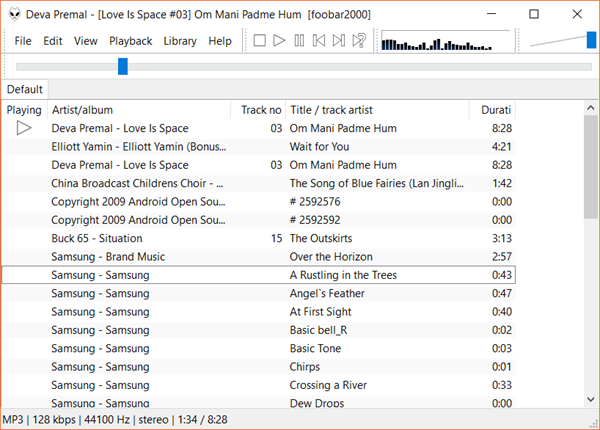 Clementine is the best open source music player which works efficiently not only in Windows but in Linux and MacOS as well. Although Clementine’s interface is not as beautiful as MusicBee, the music library management function it provides is more than enough to cover for that. 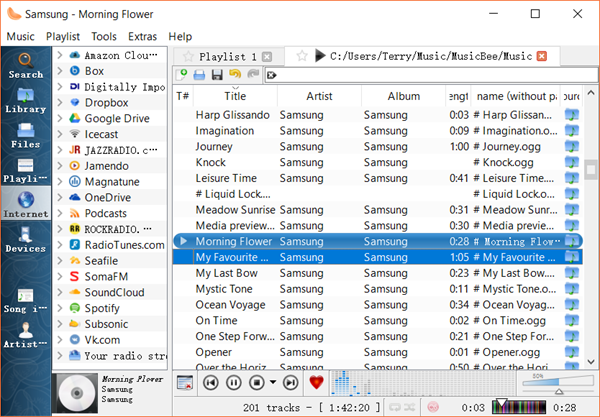 With Clementine free music player on your PC, you can not only play different types of music files but also import music files from different music websites on the internet like Rock Radio, SoundCloud and Radio Tunes, etc. You can even use your Android phone to control Clementine music player on your computer system remotely. Exiting for over decade and providing cool services like customization of the interface, Foobar2000 is another notable free music player for PC. Its interface is not eye-pleasant in the view today, but this free music player is still powerful. There is a reason why Foobar2000 is still favored on the market. In addition to basic music playing function, this free music player also supports automatic meta import, CD ripping, and rich shortcuts. If you are bored with old and dusty music player and want something exciting which can not only play different kinds of music files but also gives you a cool UI, then AIMP is just made for you. 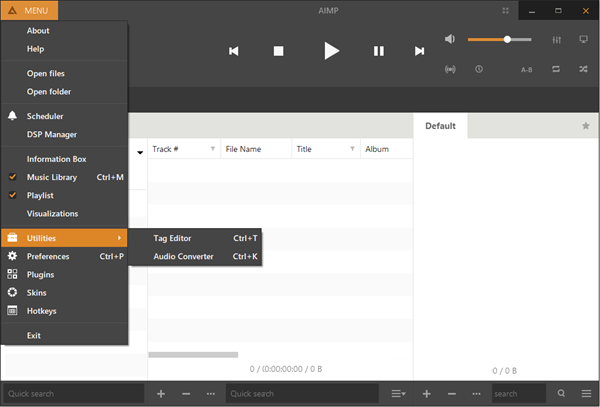 AIMP can do as many functions as a good media player can perform but aside from that, it gives you more options like creating and organizing your own music library, features like meta tagging and smart playlist and cool options like skin changing as well. It also provides you with Equalizers so you can change your music tune however you like it. Its built-in audio converter and sleep timer can even wake up your PC from sleep mode. Media Monkey is another music player freeware, which can not only play audio files, but also play videos with the help of plug-ins. 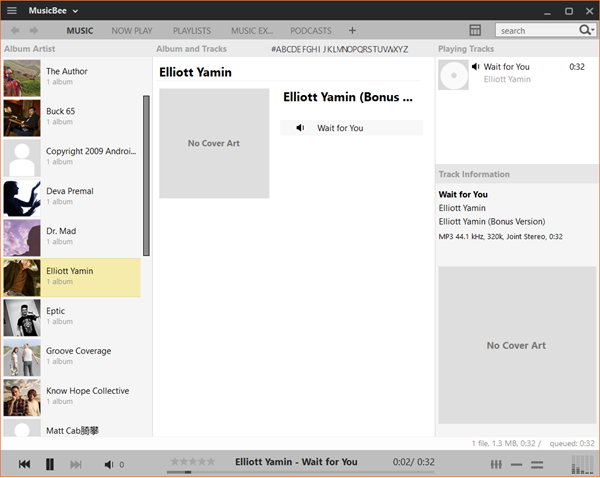 Anyway, it is excellent as a free music player for PC itself. 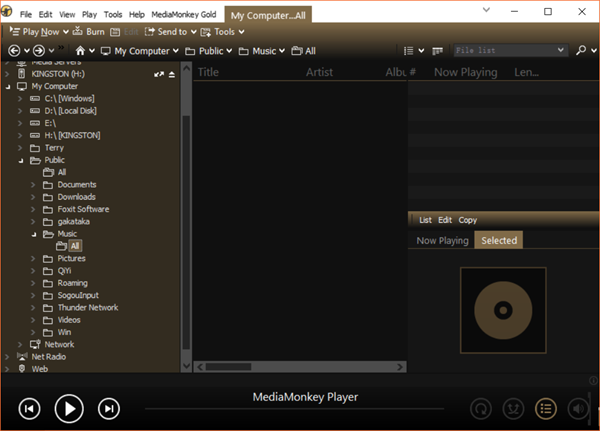 Media Monkey is an open source media player. It can greatly help you unclutter your messy music media files with cool features, like burning CD to DVD, ripping CDs, converting your audio files or managing volume level, etc. To sum up, it is a splendid music player for PC. 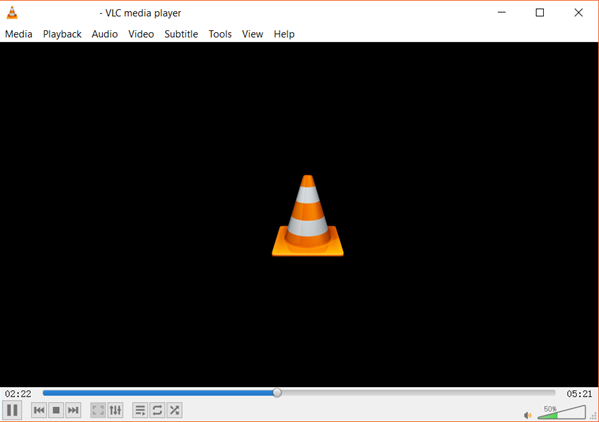 If we are ranking the best video player, VLC Media player should be on the top 3 list. 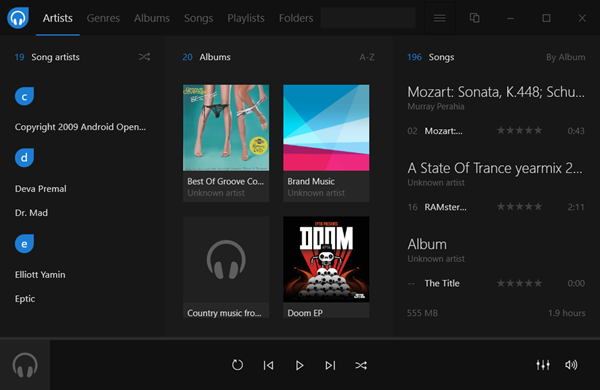 Nevertheless, it is still one of the best free music players for Windows PC. It is known for being able to play any kind of media file whether it is an audio file or a video file. VLC media player allows users to access to multiple radio stations, from which you can listen to the radio and a powerful equalizer that can perform a splendid job for you as well. It is very light-weighted and easily available on platforms for download. With its unique design and powerful built-in decoders, it is a good choice if you want a one-in-all media player for PC. Besides music and songs, music players are also very useful if you want to play voice recording files, which are usually more important that normal audio files. In case you lose precious audio files, don’t hesitate to try a data recovery software to get them back.